The author, Elizabeth Aquino with her daughter Sophie in their backyard. Image by Emily Berl/National Geographic. A leaf was hanging on my windshield nearly all day, yesterday, as I drove about the city. Blown from the tree that overhangs the driveway and wet from the rain that fell off and on all weekend, the leaf clung to the window for hours. I didn’t want to clear it. My daughter Sophie was sick with the flu all last week, and as her fever spiked up and fell down, she had, paradoxically, no seizures. The phenomenon of neurological abnormalities abating during periods of illness and fever is more common among the autistic community than the epilepsy world, and most people associate seizures with fever. Around these parts, though, we were quiet, our breath was held collectively. No seizures. No seizures for a week. No one uttered a word about this. Not the husband. Not the babysitter. Not the brothers, Henry and Oliver. And, other than the passing observation to a couple of friends, neither did I. That’s how we do it around here. We hold our breath, superstitious, wary of the other shoe dropping, the proverbial jinx. The author and her daughter as a young child. On Sunday I went to a daylong class about the Four Noble Truths of Buddhism, taught by the great Sharon Salzberg. The first Noble Truth is the truth of dukkha, which roughly translates into anxiety, suffering, and dissatisfaction. Dukkha attests to the human tendency toward dissatisfaction with circumstances and an expectation for something different. The second Noble Truth is the origin of dukkha, or the cause of suffering, and this is craving, attachment, aversion. I thought about the first and second Noble Truths as I drove around yesterday, the yellow leaf filipendulous on my windshield. I thought about them, again, later in the afternoon, when Sophie had a huge seizure for the first time that week, right before dinner and then again, when she had another one during dinner. When it happened, again, 20 minutes later, Oliver stood in the doorway, his face grim and asked, “Is she all right?” As Sophie jerked, her face contorted into a grimace, the phlegm of the past week’s flu and congestion rattling in her throat, I felt fear come flooding back, the other shoe, dropped, the jinx a prophecy. I had a minutes-long internal debate on whether or not to administer Diastat. I wondered, frantically, if she had something else, a secondary infection. She had no fever, though. I panicked, briefly, about her dying. I acknowledged that, as I have so often done and watched the thought slip away. The author's daughter Sophie, with her dad. Image by Emily Berl /National Geographic..
A week free of seizures and then a flurry of them, and I thought, at first, that it might be some cruel joke, the brain rushing to catch up, a perverse reversion to normal. When the adrenaline calmed, I sat for a long time at Sophie’s side and watched her breathing, her eyes open but vague, and I felt resigned to all of it, or perhaps not resigned but, rather, cool. The third Noble Truth is the truth of the cessation of dukkha, the removal, absence or non-arising of suffering, and the fourth outlines the path to the cessation of dukkha. Earlier in the day, as I’d driven around the city, the leaf clinging to the windshield, I had thought about the Four Noble Truths, how the experience of giving birth to Sophie, to receiving her diagnosis, to looking for help for her, to fighting for her and to watching her seize, over and over and over again while simultaneously living was a near perfect parallel to the path of the Four Noble Truths and that I was infused with them quite beyond my own consciousness. Sophie had another big seizure this morning during breakfast, and when we brought her to her room, both Henry and Oliver stood in the doorway, anxious. “Is she all right?” they asked, and I assured them she was. They left for school, and an hour later, so did Sophie. When I went outside to go to my car, the leaf, of course, was gone. The author with her daughter as a young child. Is the ability to hold two opposing feelings and/or thoughts something that one is graced with or something that comes with time and experience and exposure? I don’t know the answer, but I see it all the time in those who share the experience of caring for a child with disabilities or who have lost a child to illness. I can look at Sophie and grieve for the loss of “normalcy,” but I can also exult in her being exactly the way she is. I can have sorrow over the absurdity of changing a near-17-year-old’s diapers and marvel at the gift of intimacy that entails. My friend Jody’s beautiful daughter suffered from severe cerebral palsy due to gross medical malpractice when she was born, and she died unexpectedly nearly a year ago at the age of 16. But Jody told me the other day that it was such an honor to have cared for her daughter so intimately for so many years. I’m not talking here about all that unconditional love blather, although trite expressions are trite for a reason. I’m heading toward an understanding of openness — of what it means to be truly open to experience, to the relinquishment of false notions of power and control, to, dare I say it, love. I wouldn’t be able to live, one person might say, hearing of the death of someone’s child. I could never do what you do, another says, I just couldn’t handle it. Contrary to what some might say, we’re not given what we can handle. We’re opening to handle what we’re given. 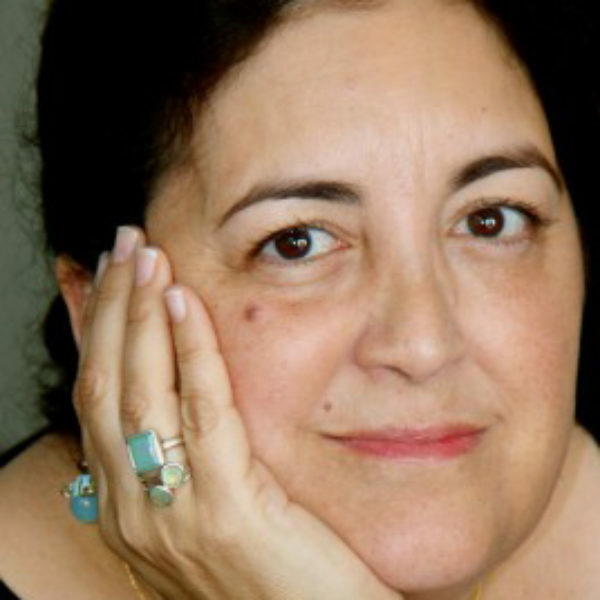 Elizabeth Aquino is a writer living in Los Angeles with her husband and three children. Her work has been published in The Los Angeles Times and Spirituality and Health, and she’s the author of Hope for a Sea Change. You can read more of her thoughts about parenting a child with disability, poetry, politics — and where they all intersect — on her blog, A Moon, Worn as if It Had Been a Shell. 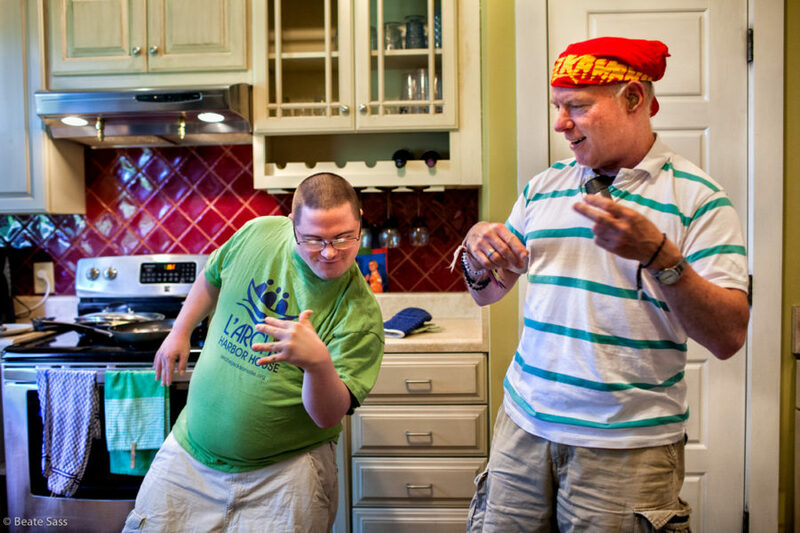 L’Arche, a network of intentional communities focused on embracing life with intellectual disability, embodies a deep commitment to community.